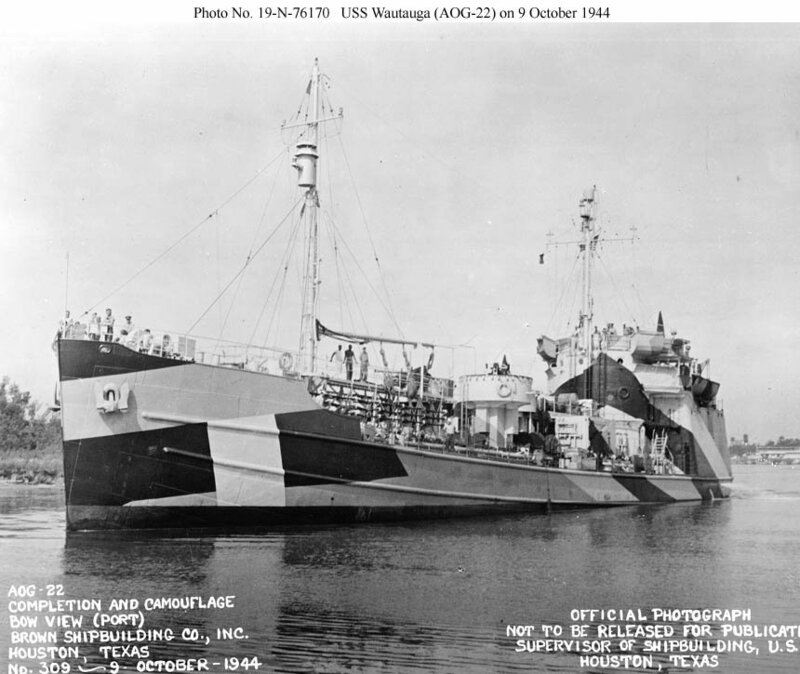 Laid down, 14 June 1943, as MV Wautauga, a Maritime Commission type (T1-M-A2) tanker hull, under Maritime Commission contract (MC hull 791) at Todd-Galveston Dry Dock Inc., Galveston, TX. 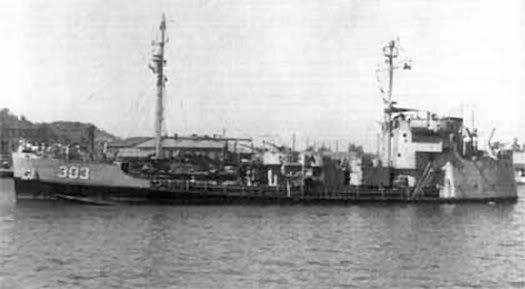 Decommissioned, 26 April 1947, at Subic Bay Navy Yard, P.I. 102k USS Wautauga (AOG-22) builders completion photo, underway near Huston, TX., 9 October 1944. Wautaugawas the second of four ships of this class built at Galveston, Texas, and completed at Houston. The upward sweep of the lower rubbing strake at the bow was steeper on the Texas-built ships than on the ones from Bayonne, otherwise they were nearly identical.